Want peace of mind when you sell your home? We can help. Selling your home is a big decision, and can also be a big responsibility. It requires market and price analysis, staging, presentation, product placement, marketing, and negotiation.  But let’s start simple and talk about what your home is worth in the current Denver market. Fill out the form below about your home and we will contact you right away to get started! See what the Denver real estate market is up to by using this interactive map to check home prices in your neighborhood. 1 | Sit Down with your Agent First This is a big decision, usually with significant financial and emotional components. We know we’re great to work with, but you should probably make that decision for yourself. 2 | Be the Buyer When considering how to show or price your home, put yourself in the shoes of your ideal buyer. How does your home look? What would you pay for it? 3 | Price Strategically Review the market with your agent and come up with a strategy that works for you. People are often surprised to learn that selling fast and selling at top-dollar often go hand-in-hand. If you price too aggressively, your home could sit on the market for a long time and you still may end up with a lower sale price than if you had priced a little lower at the beginning. 4 | Presentation 101 The first impression is the only impression that counts. Make sure your home looks great. This includes curb appeal and the interior of the home. 5 | Presentation 102 Stage it! Well-executed staging can both increase the price and decrease the time your home spends on the market. There are many professional home staging companies. Ask us our favorites! We often hear our sellers lament that they wish it looked that good while they lived there. 6 | DO Sweat the Small Stuff Minor home improvements can go a long way. Does your door trim look shabby? Fix it. Missing a faucet handle? Does the faucet just look shabby? Replace it. Minor updates like light fixtures, door handles, and kitchen hardware can make your home look sharp for your potential buyers. It also tells them this is a well cared-for home. 7 | De-clutter Nothing complicated here, just make sure the home is picked-up and clear of unnecessary items on floors, tabletops, and countertops. If it isn’t necessary, put it in storage! 8 | Be Honest If there is a health or safety issue with your home, be sure to let your agent and potential sellers know. You’re not responsible for things you don’t know about, but if you hide something you could find yourself in trouble. Better yet, talk to your agent about finding a good contractor to fix your problem and add value to your home! 9 | Always Be Ready to Show Requests to view your home may come at any time. Have your house clean and ready to show, and have a plan for how you to be absent within an hour to allow showings. If you make it hard on the buyers, your best buyer may miss out on seeing your home altogether. 10 | Look for the Win-Win in Negotiations Strong negotiation is your best tool to ensure you get what you want out of your home, and still have a happy buyer on the other side of the table at closing. You don’t want to give anything away, but withholding too much can complicate the transaction, or even cause the buyer to walk away.